Select an option Teen Sm. Mens 7.5" Med. Mens 8" Lg. Mens 8.25" Xl Mens 8.5"
A masculine matching bracelet set for Father & son to share. Personalized to make it special. You can also opt for no personalization. Both bracelets are made on durable stretch cord with wood beads. Cool marbleized black and white design. ORDER INFO: Please remember to include the personalizations desired in the "notes" box at checkout. 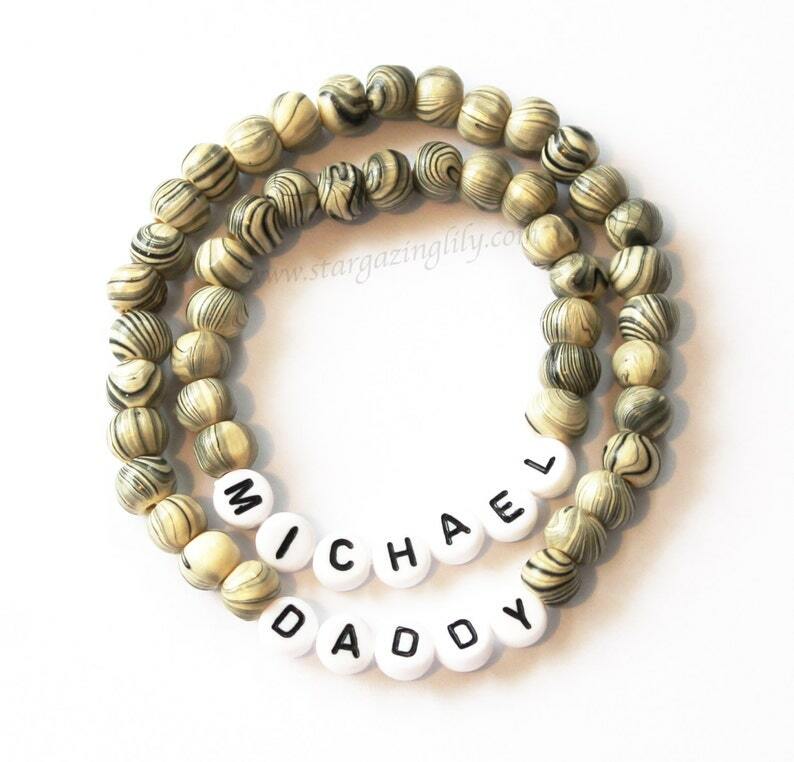 Father Son Personalized Wood Name Bracelet Set Daddy & Me Set of bracelets. 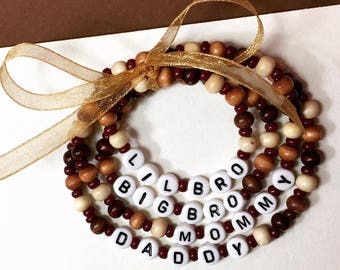 Bracelet for Boy. Back to school, New baby, Big Brother.